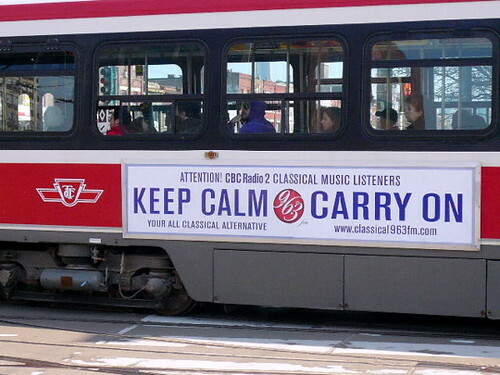 Keep Calm and Carry On posters have become iconic. You see them everywhere, in original form or parody, a relic of the second world war. The poster is so iconic you'd be excused if you thought these were all over Britain during WWII. In reality, they were rarely used by the British government as they were being saved should the Germans invade the UK. In 2000, the poster was rediscovered in a bookshop in England and the rest is history. This is in my son's school. They have it in the front office and in the library.